And christmas is always incomplete without cakes and some wines 😀 And i love my Christmas eve to be enjoyed with some sparkling wine.. 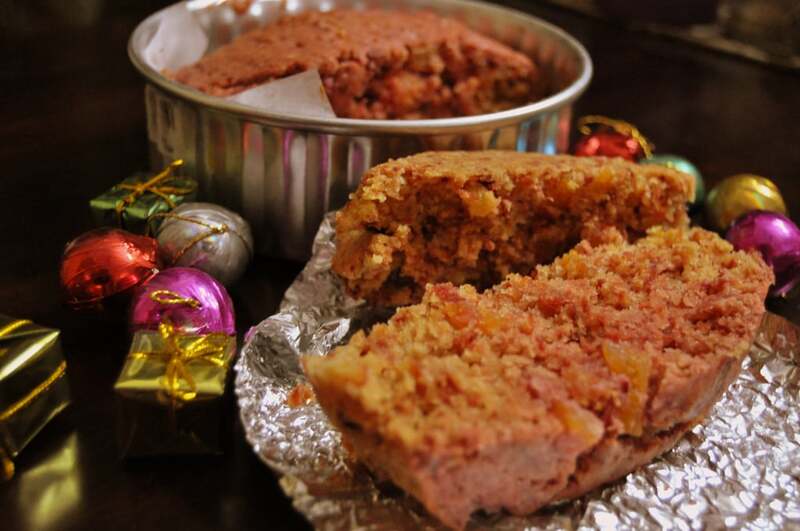 Here I am sharing with you a very easy cake which looks tempting..Perfect for your Christmas morning with a sip of Fresh Lemon Tea !!! The cake contains beetroot and dried apricots. I came across this wonderful recipe through “NIGELLA CHRISTMAS” book to which i have made a variation.In the main recipe she has used dried cranberry and i have used dried apricots instead of that. Pre-heat the oven to 180 degree C for 10 min . (If you are using OTG you can keep your temperature to 170 degree C for 10min).Butter and line a parchment paper to your baking tin.You can use a LOAF TIN or ANY SHAPED TIN.I have used a round tin. Peel the beetroot and grate it using your grater. 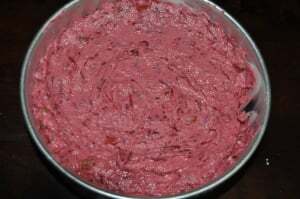 Take a bowl and creme the butter,sugar and lemon zest till it creamy and pale.Then beat one egg each time.Now use a spatula and stir in the grated beetroot,dried chopped apricot ,lemon juice and nutmeg powder. I like my cake with a dollop of fresh cream on it.You can try this way too !! 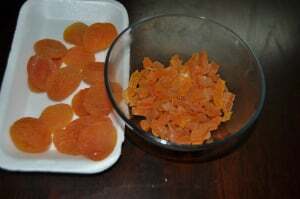 TIPS : To get lemon zest ,remove only the outer part of the rind. Caster Sugar : Don't worry if you don't have it.Its really easy to make it out of your normal sugar (Granulated sugar). Place granulated sugar in a food processor or blender.Pulse until it reaches a super-fine, but not powdery consistency.